Here comes the first of the holiday gift guides and this one might be my favourite, the best beauty stocking stuffers. Stockings in my house are a necessity and it is so much fun searching for the best products to add into my loved ones stockings. 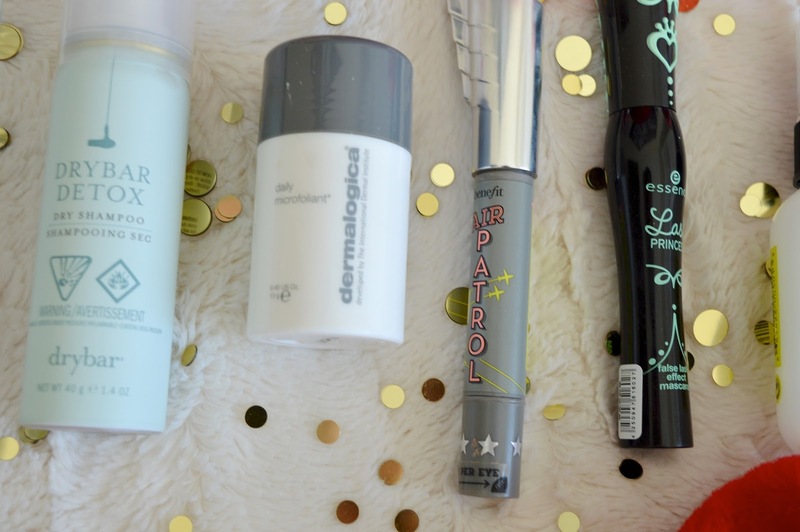 Today, I have put together the best beauty products that can easily all fit into one stocking. First up is the Dry Bar Detox Dry Shampoo. This product works miracles on my hair and when I am not in the 'washing' mood this dry shampoo instantly brings my hair back to life. 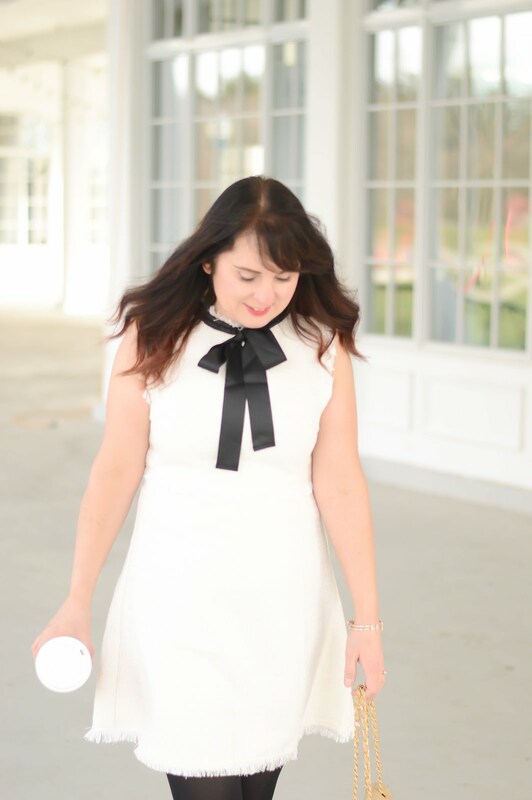 Just by spraying a little on my hair, rubbing it in with my fingers, and wiping off the excess product my hair looks instantly refreshed and shampoo-ed. Oh, and Dry Bar's dry shampoo also comes in a handy travel size, as well as, a full size bottle. Dermologica is a line I have been recently introduced to, and have been obsessed with it ever since. The daily microexfoliant is a powder base that you have to mix with water to create a thick or thin paste depending on your preference. This product does a great job at cleansing skin so that it looks polished and refreshed. This daily exfoliant has changed the skincare game for me this year. Benefit Cosmetics Air Patrol is an eye lid primer, and this product has become a staple in my morning makeup routine. This primer goes on like a cream, and can be worn alone if you are wanting to add some brightness to your eyelids with. If you are wearing Air Patrol with eye shadow the results are astonishing. Air Patrol enhances your eye shadow colours by instantly making them more pigmented and vivid. Any beauty lover would be thrilled to receive this product, once your loved one tries it, they will be obsessed with the results. Essence has been my fave budget-friendly line of the year. With all products under ten dollars you can't make a bad purchase. My must have from the Essence line is the Princess False Lash Mascara. This mascara plumps and curls lashes making your lashes appear longer and fuller, and for five dollars this is totally a must buy. For the hair lover, Bumble and Bumble Hair Prep spray is used on damp clean hair to detangle and prime. The thing I love about this product is that it can also be used on dry hair to reactivate the products that you have already used to style your hair. Garnier's Micellar Cleansing Water is an all in one cleansing product. It removes makeup, and cleanses skin. This is a unique product that I have had amazing results with. This product takes off my eye makeup with ease, and I use a lot of products that I normally find difficult to get off. The Micellar Water comes in a generously sized container and for twenty-five dollars this product is well worth the money. Benefit's Total Moisture cream is the perfect gift to get your loved ones skin through the winter months. This moisturizer is a thicker formula, and provides excellent hydration for the skin. 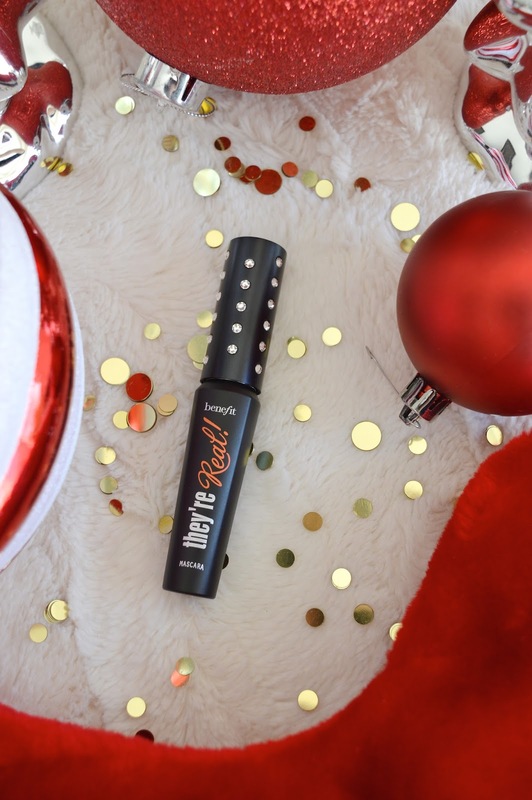 Finally, if you are looking for a luxury/sparkly gift for your beauty lover, Benefit's They're Real Mascara in a limited edition packaging is the right choice. This mascara tube is encrusted with Swarovski crystals, and quite frankly, is the most gorgeous product I have seen this year. What are your stocking must-haves? Let me know, and leave a comment.